A week that saw us transition from the Round of 32 to the Saintly Sixteen, winds up with a matchup between a man who dedicated his life to the abolition of the slave trade and a man who was born into slavery. William Wilberforce and Richard Allen square off for a spot in the Elate Eight. Fair? Just? Of course not! Ridiculous? Absurd? Of course! It’s Lent Madness. Yesterday Martha of Bethany became the first saint to make it the Elate Eight as she left Nicodemus in the dark 74% to 26%. We were also delighted to note that the three creative geniuses of Lent Madness 2019 did not relegate their talents to the first round. Sr. Diana Doncaster, Michael Wachter, and John Cabot have continued their hymn writing, show tunes, and limericks into the Saintly Sixteen. For however long the penitential creative juices keep flowing, legions of fans remain grateful for your efforts. Bravo! We do hope your Lent Madness Withdrawal (LMW) symptoms are not too severe this weekend. If you begin to feel out-of sorts or find yourself staring at your computer screen refreshing your browser over and over again pining for Monday morning, we suggest binge watching old episodes of Monday Madness. Or attending church on Sunday dressed up as your favorite Celebrity Blogger. But fear not. We’ll see you soon enough as things get cranked back up again first thing on Monday as Ignatius of Loyola faces Marina the Monk. 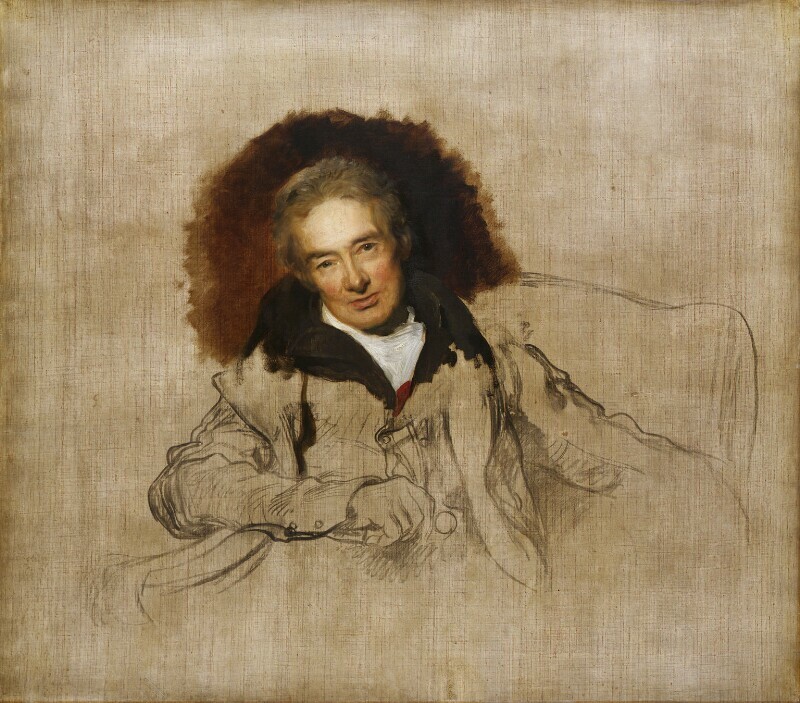 William Wilberforce (1759-1833) dedicated his entire life to ending the trade of enslaved people in the British Empire. This led him to champion ethical reforms, including allowing the dissection after execution of criminals—both to prevent the thriving blackmarket trade in corpses stolen from graveyards, and to allow greater learning by doctors and scientists about the miracle of the human body. He was in favor of Hannah More’s Sunday schools (originally intended to educate the lower classes, who couldn’t otherwise afford an education), better working conditions for chimney sweeps and textile workers, and prison reform. This campaign was both lengthy, and all-consuming. Wilberforce actually was so overworked that he made himself ill, and couldn’t even be in Parliament to propose the first law himself. It was also the first grassroots, worldwide human rights campaign. The Society for Effecting the Abolition of the Slave Trade, founded in 1787 by Thomas Clarkson and Wilberforce, among others, brought together not only Anglicans and Quakers for the first time, but also abolitionists in France, Spain, Portugal, and the US. Chapters sprang up across the world, and members wrote pamphlets and letters to each other. The Society urged everyone to write their MP and sign petitions. Josiah Wedgewood even made a special logo for his china so everyone could show their support. It set the model for the modern political organizing we know. “If to be feelingly alive to the sufferings of my fellow-creatures is to be a fanatic, I am one of the most incurable fanatics ever permitted to be at large,” he said. Wilberforce died three days after being told that total abolition of slavery in the British Empire was accomplished. He literally gave his life to right a great injustice. Nevertheless, Jones and Allen persisted. 147 Comments to "William Wilberforce vs. Richard Allen"
For these deeds he deserves acclamation. Thank you for the shout-out, O ye SEC! Thank you for sharing your gift with us all! John Cabot really writes a great rhyme. And he hits the mark every time. Proud to be saying this I’m. Getting “cruel” and “barbarous” in there was masterful! Another impossible choice!!!! Both men were simply amazing, by far outclassing most of the other candidates. We humans are so fortunate that people with such courage have come before us to help pave the way for a more just world. We just have so much more work to do! Both exceptional candidates! For me, I voted for the man fighting and working from the bottom, rather than from privilege. I think sometimes we regard those who gave up privilege more highly than those born without it. Either way, two amazing, godly men. And a great matchup, pitting two men opposed to slavery! Attend the tale of Wilberforce. Last round, he bested Lin Zhao, of course. The British people all know his name. He earned that by ending the slavery game. Rich Allen’s win to most did please. Defeated Hannah Grier Coome with ease. And what of white folks kept blacks from prayers? He started a church so they got their fair shares. The founder of the AME. Cast your votes for Lent Madness! Choose your saint with pride! Think on the good works they did before they died. In Parliament, Will’s plans were made. Both Pitt and Clarkson came to his aid. His grassroots blitz was the first we’d seen. Who knew Ioan Gruffudd played him on the screen? Not a Pisky like Abs’lom was. Born as a slave. Bought himself free. Allen knew harshness that others can’t see. Blacks should worship, not be oppressed. He started small. Then, the church grew. Allen’s was patient and saw it through. Attend the vote of Will and Rich. You must choose one with a fevered pitch. That neither would want us to give it away. Which one will move to Elate Eight? Tuning in this morning was worth just for “Not a Pisky!” Lol! No idea who to vote for, since both are so deserving, but I’ll have Michael’s tune going through my head all day! Absolutely! Love that “Pisky,” although it took me a moment to figure out what a Pisky was (or is). Okay, I’m just gonna say it: I know what a pisky is, but not in this context. Here’s hoping I’m not the only one in the Lent Madness commenting public who does! Susan, when I first saw the word, all I could think of was the small Cornish equivalent of a leprechaun. Then the light dawned. Clever! I had never heard it used the way Michael did. OHhh!!! EPISCopalian!! Oh, I get it now! Brilliant again! I appreciate the attention you give to all manner of details in your songs! A thank you to the SEC for today’s call out. Brilliant, Michael! My bracket is broken for this round, so I voted for the underdog. I am of an older generation and do not know the tunes. Could we get some from musicals like Oklahoma or Gilbert and Sullivan or Jesus Christ Superstar? YouTube! I look it up if I don’t know it, and sing the lyrics with the version on YouTube. It’s wonderful to learn new musicals! Great idea, Susan. Lifelong learning is an important thing. A difficult choice, but I live in Delaware and have long had great veneration for Richard Allen. He needs a movie like Amazing Grace to boost his profile. Had to vote for William Wilberforce. 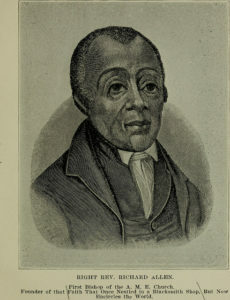 The effect of his campaign to end the slave trade was worldwide. Both worthy men but I’m More moved by William. A big Bill as it were. I could wear my William and Mary colors to dress as Megan. Andrea’s mini-me child looks like her. I wanted to vote for both, but know the penalty of voting twice. Wilberforce got my vote because of his pivotal role in ending the slave trade, his wisdom in wanting to allow the dissection of executed criminals (a proposal that would be politically incorrect for entirely different reasons in today’s society), and his role in founding the SPCA. His influence was widespread. A vote for Richard Allen is the best way to honor the legacies of both men. Really tough today. Both men are very deserving of the Golden Halo. But I live near Philly, so I have to go with the Home Team choice, Richard Allen. Same here. I’m a displaced Philadelphian so Richard Allen gets my vote. And the decrepit public housing project named after him in Philly was razed and redeveloped years ago, thank goodness, as it was far from a fitting tribute to him. Love both of these saints, but my English roots are directing me to William Wilberforce! Abolition of slavery and founding of SPCA too? Wilberforce has my vote. couldnt decide today. Both men are worthy of a win. I closed my eyes and hit a button. Wilberforce it is. Wow! A tough choice both men so deserving of a Golden Halo! Richard Allen gets my vote , as a black men championing blacks and females and all people his work was most difficult and his faith amazing and undaunted. My vote is for Wilberforce. . . surely a ‘force’ in his time for the benefit of all God’s creatures, human and animal alike! I’m with Allen this round, but both are so deserving of the halo I won’t be sorry to see either one go forward (but truth be told, it will break my bracket something fierce if Wilberforce wins the day, ah, well). Both are remarkable human beings.. in a way, the work of Wilberforce opened the door for Fr. Allen – so today Wilberforce gets my vote. William Wilberforce attacked so many injustices and cruelties in our world—I hadn’t known about his role in the founding of the (R)SPCA—at the cost of his own life, as our C. B. says of him—that he ranks with the reforming monks and friars of the medieval and early modern eras. If he makes it into the Elate Eight, I’ll say more about this. I have nothing against Wilberforce, an extremely honorable man, But, for his courage, his feminism and his forgiveness, I feel compelled to support Richard Allen. This was a difficult choice. However, it came down to my personal philosophy that to effectively address a “wrong” we must address the institution and change it-not flee from it. Yet another coin toss, as both are deserving of the Golden Halo. Wilberforce. This is a hard decision. I finally went with the greatest good for the mostest. So Wilberforce gets my vote. I greatly admire Allen and his determination. 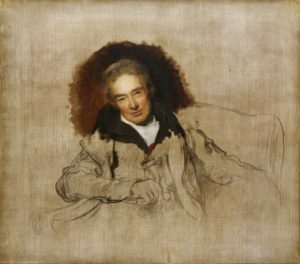 William Wilberforce was a true force of nature. As much as Richard Allen did good work for many, William’s persistence won freedom from slavery for the Empire. William for the win! The Royal National Lifeboat Institution (www.rnli.org) is an amazing organization. Slavery, saving dogs and cats and keeping the shores of the British Isle safe – what a guy!!! It’s Methodist against Methodist today. Despite the appropriation of the “nevertheless, she persisted” trope for the men, a crafty rhetorical ploy, I am voting for Wilberforce. His role in organizing against the slave trade was mighty and powerful. Not sure I understand the logic of the dissections of executed felons; it seems as though that would encourage more thefts of corpses for teaching hospitals. Those earnest Victorians could have spent more on sanitation than on dissection. However, schools for the poor and protections for animals win my vote. I read “Black Beauty” as a child and wept at the death of Ginger. “Only Ignorance” was a chapter basically filled with a sermon. Wilberforce for me today. Is it the same logic that is behind the movement to legalize marijuana? Both men are wondrful, but Wilberforce is one of my heroes and has been for years. I’m hoping he wins the Golden Halo. I live in a house that has as many cats as humans . . . it is tempting to let them sway me to vote for the founder of the SPCA. But I have known of Richard Allen a little longer than I have William Wilberforce. And I have seen (the outside) of Mother Bethel in Philadelphia. If only both could advance. Both men had long reaching impacts, though it could be argued that William”s impact had a wider geographical scope. My minor at Southern Methodist was in Human Rights and William did help found the “first grassroots, worldwide human rights campaign,” and pretty much give his life for it. On the other hand we have Richard who made his soles sore bringing healing to souls via preaching the good news of the liberating Gospel of Christ. It is a tough choice. Wish this hadn’t been before the final. I’m taking founding the SPCA as a tiebreaker for Wilberforce. Such a tough choice! I decided to vote for Richard Allen, because while Wilberforce accomplished the greatest good for the most worldwide, it was his relative position of privilege that allowed him to do that. That’s not to downplay his hard work and devotion – but as far as saintliness and their efforts to better the world go, I think these men are clear equals. Allen did some really difficult work despite strong attempts to discourage him, and his legacy needs to be better known. So I voted for Allen because I’ve long had a soft spot for him, and I figured more people would be voting for Wilberforce. I had a bit of a political motivation, too: Nowadays, we need to lift up the work that people of color do to liberate their own communities, rather than celebrate the “white saviors.” Again, this is not at all to denigrate Wilberforce’s work. He would probably argue that he was only doing the least his faith required of him, but he certainly did go above and beyond what anyone would have expected. Elaine, I posted the same thoughts myself while you were posting as well! Same reasons as mine, as well. Well said Elaine – I totally agree. I’m not sure who I’m going to vote for. But this “white savior” allegation was brought up against Wilberforce when he was in the last round, and I’m not seeing him that way. Wilberforce worked within his own social, political, and economic system to make it less racist and exploitive. Surely that’s what we all should be doing. He must have alienated many friends and other associates, yet he persisted. Do those of us who work to make our own country less racist see ourselves as “white saviors”? I would hope not. I’m voting for Richard. I am thrilled with William’s life story and know that he did good for untold numbers of souls. But Richard came up against the system–was a victim of it himself–and forged ahead out of slavery with his faith and his message of love intact. William was white; he was in Parliament and part of the system to an extent (although a force for good). Richard worked from outside the system, swimming against the tide and out of the depths. I am voting, too, for my own sore feet. That gives new meaning to “voting with one’s feet “! I honestly don’t know who to vote for! These were the two I most esteemed going into Kent Madness. Both are such impressive men in working for social justice! This was hard. Both are very worthy. Wilberforce in his life and works changed so many things and influenced so many people that I had to vote for him. His work was at the core of civil rights movements in most places. Today my mantra is “no crying in baseball, no losers in Lent Madness.” What wonderful souls, these two. And this year, the field is packed with choice choices, the blogs are especially special, and the comments are uncommonly cogent. Lent Madness X is in all ways X-ceptional. To celebrate, I nominate Malcolm X for Lent Madness XI. I always look forward to your comments, Peg. Thank you for them. I want to vote for Wilberforce. BUT given the current state of the “United” Methodist Church, Allen has to get my vote for his strength to walk out and start a new denomination! Ah, this is an angle I had not considered. The sadness of Protestantism is that once the church splits, it keeps splitting. May this angle become an angel for enlightenment and unity in the Methodist Church. I fear that unity is gone. In the spirit of Richard Allen, we are quite likely to walk out. I love that quote. We tried. Thanks for sharing this Victoria – it is a wonderful quote. Thanks for that quote from Wesley. I agree. He sounds like the Anglican he was! I think that is much the same as Bishop Curry is saying to the Lambeth bishops. Yes, beautiful quote. The Episcopal church has been struggling to maintain its “big tent” for decades, but it is a terribly difficult to maintain. That is my thought as well. A gentle suggestion for all to reflect on past history and the brave decisions that resulted in a stronger, more vibrant Methodist Church. Anyone who abhors slavery (human trafficking) and cruelty to animals, will rejoice in a vote for William Wilberforce. Bless the beasts and the children. Wilberforce! One godly soul applied Mica 6:8 to the institutions of his own society … which enabled him and his own to enjoy so much privilege, and he saw they were not just. The Triangle Trade was responsible for 80% of the wealth involved in British trade??? And he took that on as a loyal love-toting soldier of Christ. I’ve got my pick for this year’s Golden Halo! ‘To do justly, and to love mercy, and to walk humbly with thy God.’ Yes, that about sums it up. Thank you, Linda S.
The thing that surprises me is the spread of the votes. I would think this one would be much closer, as I agree with many of the previous comments that both men are so worthy of our votes. I voted for Richard Allen because I would like to see more people of color recognized for their contributions and because I thought Marcus’ write-up was more in the spirit of the Saintly Sixteen round. Megan gave us one sentence of quote. Surely William Wilberforce had more to say for himself than that. Hear! Hear! I was hoping for that golden halo for Richard, too. Voted for Wilberforce. Those who lift up the oppressed are generally going to get my support. Their actions show their spiritual focus and how they live into their faith, acting out their baptismal vows to respect the dignity of every human being. Such a tough choice. In the end I’ve decided on Wilberforce for many of the reasons given in previous comments. What swayed it for me? Part of my application for an Evangelical Education Society (does it still exist?) scholarship for my senior year in Seminary was an essay I wrote on Wiberforce. O that we had political leadership today with the values and moral toughness of Wilberforce! Another tough choice. Almost a coin toss. Though not perfect, my bracket is still holding up well. I worried today…a European (read “white guy”) up against a man of African descent and a slave as well. In ProgressiveLent…I mean LentMadness the latter would clearly win, EXCEPT for the fact that William Wilberforce was also concerned with “ethical treatment of Animals!” Expecting the winner to be, as usual, not who is the better saint, but who is the better progressive, I believe WW will win, and my bracket continue to shine. Too easy this year. Is it my imagination or has Sr. Diana not been posting hymn texts this year? I haven’t seen one yet. If anyone has, please let me know where. I don’t know very many of the show tunes, so I miss her creativity with hymns. I have been thinking the same thing Nancy S. – I also miss the hymns. I believe that they are being posted to LM’s FaceBook page. I hope that Sr. Diana will consider posting them here for us to enjoy as well. An achingly hard choice today. Despite Wilberberforce’s world wide impact, I finally chose Allen because all his faithful work was done while he himself was under the continuous burden of injustice and oppression. Wilberforce had a vision of justice that was all-consuming. His actions began a world-wide consideration of an evil that struck at the heart of the Anglo-Saxon world. As all have said, a tough call, and either man is a great win! I’ve decided to vote for Wilberforce. When you’re an “insider” yet work completely against what the entrenched system wants, the personal cost is high. And I’m thrilled to learn about all the other good works he did. If you want a hint, think about what was the chief difference between Absalom Jones and Richard Allen. If you don’t want a hint, ignore me! Having learned about the RNLI as I lived in St. Ives, Cornwall last September and seen these volunteers put out to sea and return to harbor in challenging conditions, my vote tipped to Wilberforce – although both men demonstrate living a life in God. But did you see any piskies there?? There are piskies at the bottom of our garden. William Wilberforce used his privilege for great good, and he is well-known for this. What we haven’t heard are the voices of the oppressed who, though having no privilege, accomplished great things too. My vote is for Richard Allen so we can raise the voices of those we have not heard. Go Richard! Hard choice to make, this one. Wish these two weren’t competing to eliminate each other so I could vote for both of them! Both great men, but Richard Allen is my forever fave! Wilberforce was incredible. Ending slavery throughout the Empire as well as founding the SPCA. He had me with the pups and kitties. Go Willy! Besides being a passionate admirer of Wilberforce’s 45-year campaign against the slave trade (see http://www.lentmadness.org/2019/03/william-wilberforce-vs-agatha-lin-zhao/#comment-63985), I have been delighted to discover (via LM) his additional connections to the antecedents of the present-day RSPCA and RNLI. I have tremendous respect for the RNLI’s efforts from my travels in Britain, and urge any visitors to contribute generously to their lifesaving charity. I’m from Philly, so had to go with the hometown hero. But this was a tough choice. P.S. Dear SEC: please don’t overlook our way-cool haiku poet. A very difficult choice today. But soul satisfying to see two people who were so inspired to give their all to such basic human rights. We need to read about such people at times like these. It gives me hope! William Wilberforce because I think he deserves to win over all the remaining saints. I was impressed by Allen’s conversion of his one-time master. However, Wilberforce is a giant, and deserves to win. This one was really hard, but I am deeply grateful for all the shelter cats we’ve had the privilege of bringing into our little family over the decades, so I’m going with Wilberforce. All of our kitties said that unless we vote for Wilberforce, they will not be in our laps for some time. Actually, I have a special place in my heart for Richard Allen, because of the work he and Absolom Janes did in promoting the welfare of free and enslaved Black people. They founded the Free African Society, which, in addition to providing assistance to the needy, also was instrumental in the founding of the African Methodist Episcopal Church. I was privileged to read the memoirs of Bishop Allen. They were never published, but discovered among his personal effects after his death. Reading his own words was a truly blessing experience, as he was foremost a devoted man of God doing his best in a world that seemed dedicated to placing obstacles in his path. A tragic bit of history is that the free Blacks of New York City’s Zion Chapel, when they were founding a church for Blacks, refused to join the AME church of Bishop Allen, so they formed the African Methodist Episcopal Church – Zion. Both denominations continue to this day, and it is recognized that their theologies are identical; the only impediment to their union is the fact that in any union, someone has to step aside, and neither of the denominations’ leaders seem inclined to do that. Thanks so much to our poets and lyricist. You’ve made Lent Madness even more fun. In 1968, I graduated from the former Hannah More Academy that was in Reisterstown, MD, USA. I voted for Richard Allen. I left the Episcopal Church and church in general as a teenager during the Vietnam War. It was the call to the alter rail at Allen AME Church in Tacoma, Washington at the onset of the first Gulf War which has led me back to church and now the Episcopal Church. Wilberforce was so amazing in his care for th poor, for animals, and in his fight to end the slave trade and then slavery. Hope he wins the Golden Halo! Ferdinand (King of Cats) is going on 19 and, as of vet visit yesterday, declared “healthy geriatric cat.” Ferd acknowledges today’s tough choice, but meows (loudly) “Wilberforce.” Who am I to ignore the cat? The Force be with y’all (as we say here in Southeastern Indiana). I accidentally voted for the wrong person, no way to correct that mistake. I would have voted for the underdog because I knew he didn’t have a chance!! I voted for William Wilberforce. After watching the movie “Amazing Grace” in 2006, I couldn’t vote against him. While both men deserve honor, I voted for Wilberforce because by his actions to fight slavery, he saved thousands of Africans from capture and enslavement in England. I’ve already voted and given my reasons why I voted as I did, so this comment is not apropos of that. I find it interesting that so many people have been tangling with the word ‘pisky’ and its meaning. Let me help. If one is of British descent – especially if one comes from the southwest corner of the UK – a pisky is one of the little people, otherwise known as a pixie. If one is a Scottish or an American Anglican one is a Pisky, otherwise known as an Episcopalian. I have a feeling that, given the tenor of the present times, that William,(who is a personal hero of mine) would want Richard to take this one – a living out of the forward movement of the still unrealised, end of racism and injustice that both saints worked for. SO Go Richard GO! Choices such as this strain my limited capacity for self-examination. I take for granted that residual racism and sexism infect my thinking, and I try to identify their effects and compensate for them. But where, in each instance, is the line between appropriate and excessive compensation? I can’t accept that (in this context) just voting for the woman and/or the person of color is the best choice; it eliminates uncertainty, but at the cost of a different kind of distortion. By now, gentle reader (if indeed anyone reads this, written in Berlin at 5 am Eastern time), you will have sensed an apologia for a vote for Blessed Willy. The trifecta of emancipation, animals, and lifeboats won me over. As other have pointed out, the RNLI is a beloved charity in the island nations of Britain and Ireland, where according to their website they assist 22 people daily. Wilberforce and his legacy have thus freed millions from lives of misery and snatched thousands from the jaws of death; I couldn’t but go with him. Something weird happened with the link – lots of code but no comments. I’m having difficulty accessing them. Shame! I was all for Wilberforce, until I realized his role in dissection ‘reform,’ which was the stuff of nightmares for the poor and those with mental illness in the family at the time. In practical terms, Wilberforce prevented grave robbing, by allowing the use of bodies from workhouses and asylums. It’s not easy being saintly. Allen by a nose. I’m only now reading through the string of comments, Greg, ad it seems that you and I are the only ones troubled by praise for Wilberforce’s role in the dissection industry. I wrote a blog post about it, but now I need to go find Ruth Richardson’s work. Here’s what I wrote. Thanks, Michael, I’ll take a look. I have a PhD in Russian and modern European history, and was very familiar with the dissection issue, but not Wilberforce’s role in it. It really was the stuff of nightmares at the time. Will the Force! I voted for him because his fight to end slavery, RNLI, and RSPCA. Liked the musical number. Thanks, Michael!